Walters State Greeneville, Morristown, Sevierville and Claiborne County campuses are equipped with red box and blue light emergency/safety telephones. The red box emergency/safety telephones are located at specific entrances to buildings. 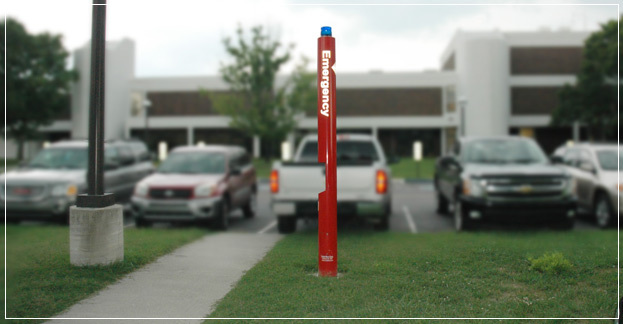 Blue light emergency/safety telephones are strategically located in the parking lots and walking areas of the campuses. The red box telephones may be activated by opening the cover, lifting the handset and pressing the button. The blue light telephones may be activated by pressing the button beneath the speaker. The phones will connect with the on duty campus police officer during regular business hours. The user should then relay identifying information, their location, and describe the problem. If possible remain on the line in conversation with the campus police officer.